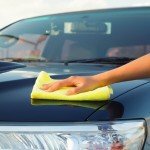 Why choose WashMeNow for your car detailing?. When you run a search for car detailing and similar services in the GTA, you will most likely come up with more than a few results. With so many to choose from, the real question is: Why should you choose Wash Me Now? What sets Wash Me Now apart from the rest? While conducting your search, you are bound to come across more than ample information on the company. You can also read customer reviews and opinions. It won’t take you long to see that Wash Me Now is one of the most reviewed car detailing companies in the GTA. In addition to this, Wash Me Now is also one of the top rated in the area thanks to an overwhelming number of fantastic reviews and positive feedback from satisfied customers. Car detailing has come a long way since the old-fashioned bucket and rag! There are automatic car washes, touch free car washes, and everything in between. Wash Me Now uses steam cleaning for both interior and exterior detailing. This not only kills germs, but it is the most effective way of removing dirt without causing any damage. In addition, by using steam, far less water is used which is great news for our environment. Wash Me Now treats every customer and their vehicle with the respect that they deserve. Some of the most important aspects being prompt service, following through on promises, and carrying out each task in a professional manner. After detailing more than 1,000 vehicles, it’s fair to say that Wash Me Now has more than enough experience to take on any car detailing job. From family sedans and SUV’s to luxury vehicles and everything in between, Wash Me Now has seen and cleaned it all! Wash Me Now is a 100% mobile car detailing service. There’s no need to take your car to a car wash or wait while it’s being cleaned. Instead, Wash Me Now experts will come to you (anywhere within the Greater Toronto Area) and perform the best professional clean while you go about your usual business. Wash Me Now mobile services are fully equipped with everything needed to get the job done – including a clean water supply. With all of these advantages in mind, it’s easy to see why so many Toronto car owners choose Wash Me Now over any other car detailing company. Call us today to set up your appointment!